Along the Rivera Maya lies the sophisticated resort town of Playa del Carmen. With its stunning beaches, world-class golf courses and plentiful shopping and entertainment on Fifth Avenue, it’s no surprise that Playa del Carmen has earned a reputation as one of the Caribbean’s trendiest travel destinations. Playa Hotels & Resorts has put together the top five reasons you should visit Playa del Carmen for your next Caribbean vacation. This popular main street is just 500 meters from the beach and offers a variety of shops, boutiques, arts and crafts, trendy bars and restaurants. This pedestrian walkway attracts visitors with its unique display of street performances, such as fire breathers, musicians and dancers. 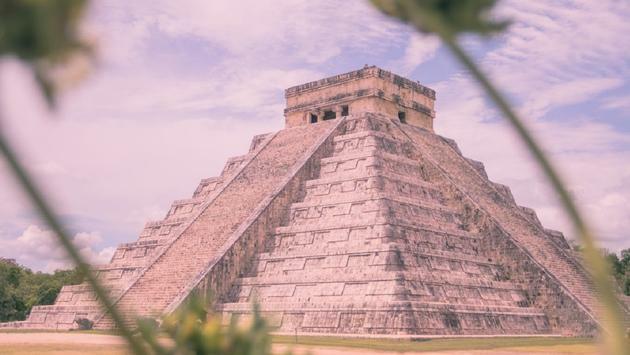 See one of the seven wonders of the world on your next vacation and visit Chichen Itza. These Mayan Ruins located in Mexico’s Yucatan Peninsula and are the most visited of Mexico’s Mayan sites. One can see everything from the temples, the ball arena and the Pyramid of Kukulkan. Besides having the perfect weather year-round, Playa del Carmen is the home to many different environments that everyone should experience. The beaches in Playa del Carmen feature white sand and crystal-clear blue water. Those looking for a different type of water experience should go to a cenote, an underground pool of water in a cave. Playa del Carmen is the host for many popular Mexican dishes from Tacos el Pastor to Tostadas. From grabbing a bite to eat on the classic fifth avenue or going off the beaten path, one can never go wrong! Hilton Playa del Carmen welcomes guests to a world of all-inclusive luxury and is exclusively an adult-only resort. This property’s 513 guest rooms along with its 8 restaurants and 6 bars are undergoing a complete makeover making this property one not to be missed! So next time you decide to take a trip, consider heading to Playa del Carmen. It has everything from the culture and natural beauty to fun activities, as well as an amazing new place to stay in Hilton Playa del Carmen. For more information on Hilton Playa del Carmen and its updates, please visit agents.playaresorts.com.